Call us at (210) 880-5316 to schedule an appointment with one of our agents or click below for an online quote. Texas State Financial & Health specializes in Life and Health Insurance, IRAs / 401k Rollovers, Long-Term Care & Disability, and Credit Card & Student Loan Debt Settlement. We focus on individuals, families, seniors, and small businesses throughout the entire state of Texas that are often overlooked by other brokerages in our industry. 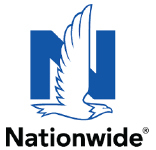 Although our brokerage is based in San Antonio we are quickly becoming the leading and most trusted insurance brokerage in the state, branching out into all of deep south Texas and as far north as the DFW metro. We understand that paying for ACA compliant health insurance coverage is not cheap but we also know the challenges of receiving assistance with Life Insurance and retirement options, is an even higher priority for everyone’s future. Please contact us and setup a time to visit about what options are best for you and or your small business. Our brokerage has been instrumental in helping small businesses remain compliant with ACA regulations and focusing on the best retirement options for employers and their employees. Thank you for visiting Texas State Financial & Health! We look forward to serving you soon. The reason Texas State Financial & Health is pulling out of the individual health insurance market.